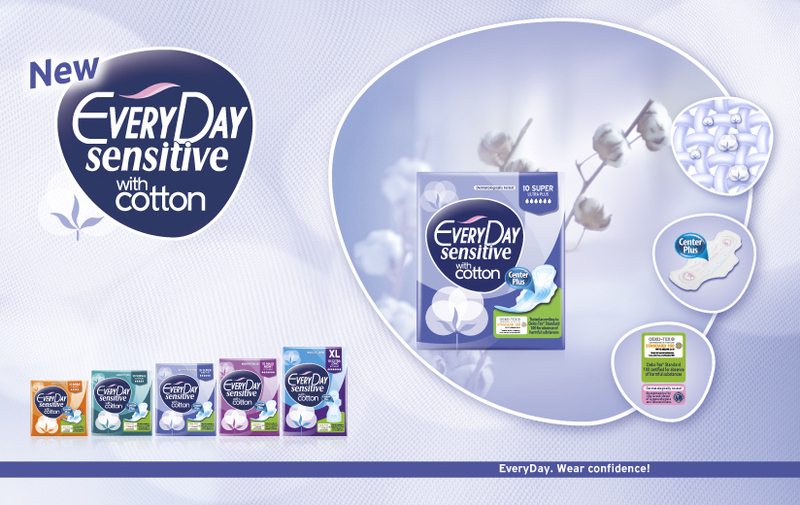 Home Page ▸ Latest News ▸ EveryDay sanitary napkins. Protection to the extremes! From the smallest to the largest things, every woman is different from the rest. So are her needs! 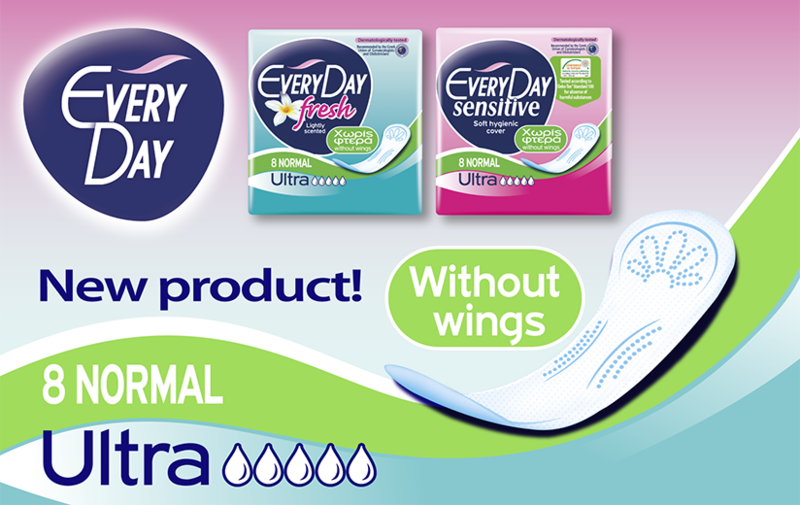 EveryDay, thanks to its expanded range of sizes takes leakage protection… to the extremes, offering an effective solution from the lightest to the heaviest type of flow! 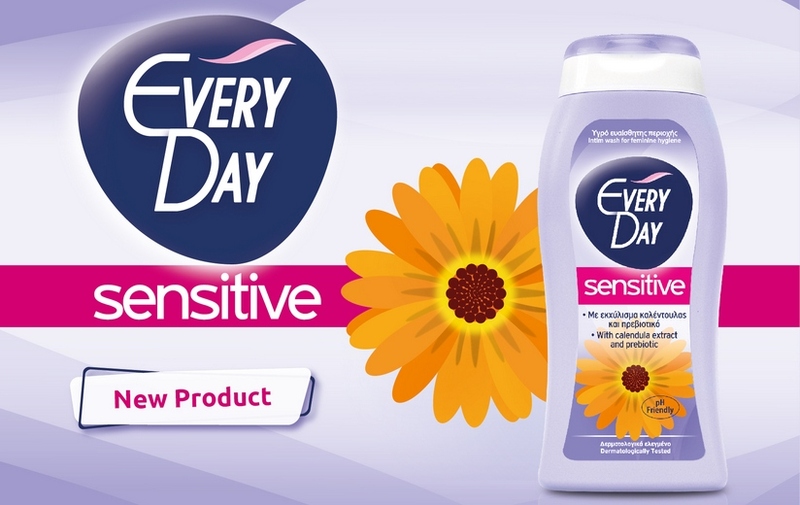 In addition to the basic sizes, EveryDay range is the only that includes additional sizes as well, which have been specially designed in order to effectively cover even the most… extreme types of flow. 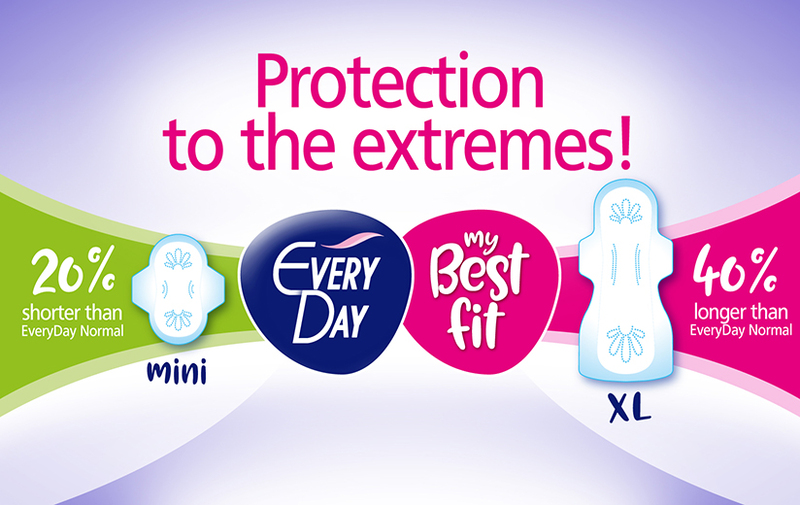 Mini: 20% shorter than EveryDay Normal, EveryDay Mini sanitary napkins offer an ideal solution for cases of very light flow or during the first and last days of menstruation. XL: 40% longer than EveryDay Normal, they are the longest ultra plus napkins. Thanks to their special design with wings both in the middle and at the back, they offer maximum safety. Hence they are ideal for cases of very heavy flow or during the night! How confident are you that you are wearing a sanitary napkin that has the right size according to your needs? 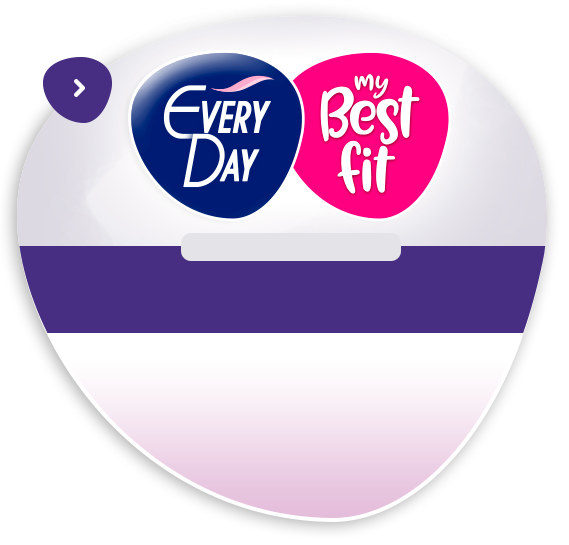 Click on EveryDay My Best Fit section and see the chart that has been prepared by EveryDay especially for you! Hence, according to your flow and type of cover/product you prefer you can easily spot the right size of sanitary napkin that has been created especially for your protection needs!